Please note this article was first published in 22 Jan 2010. Its content may now be out of date. We recommend taking a look at more recent website building blog posts or check out our comprehensive support pages. If you are looking for information on our 14 day free website builder trial we have a large number of webpages that guide you throug the process. In our last Blog we looked at the marketing benefits of offering Gift Vouchers. In this tutorial, we’ll look at how to issue money off vouchers and savings. Everyone loves a saving or a bargain and these days, online shoppers have even come to expect it when shopping online. Gift certificates and discount vouchers are a great way to improve and encourage customer loyalty and in turn this can increase repeat and ongoing business and sales. As a website builder you can up your game when it comes to your competitors by offering sales and money off vouchers to both new and existing customers. Your DotGO shopping basket works in partnership with an award winning ecommerce system called Mals Ecommerce. They’ve been working very hard on developments to their system in recent months and one of their recently new and improved features is an incredibly simple voucher system. You can now offer Money off Vouchers, Gift Vouchers and Discount Coupons to your customers in a matter of minutes and best of all… this facility will cost you NOTHING! That’s right, there is no cost to use the voucher system, the only cost to you is the discount your are providing your customers. Well, it only seems fair that you should get a bargain too once in a while!! Whatever you use your vouchers for, make sure they generate the maximum number of sales possible and also that they encourage loads of new and future business for you. 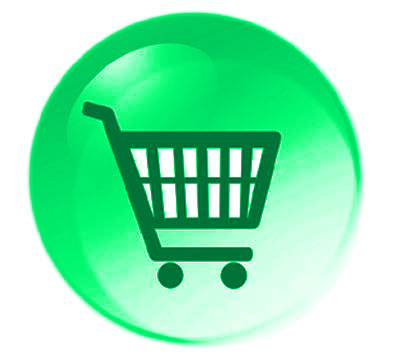 If you already have an active shopping basket, you’ll also have a Mals Ecommerce account. Log into your Mals account using the login details you would have been provided with when you initially set your shopping basket up. Don’t worry if you’ve forgotten your details, there’s a handy system, which can send them to you within seconds. Just go to www.mals-e.com and click the Forgotten Your Details link. Once you’ve logged in, click on “Cart Setup” > “Discounts” > “Discount Vouchers”. You’ll now see the new “Add a New Voucher” panel, which you can see here. The first option deals with the Voucher Code. This is the code provided to the customer, which they enter at the checkout stage. This code works with the system and amends their final checkout total to include their discount. You can choose to create one yourself or let the system create one for you. You may have certain product codes or unique reference numbers associated with existing discounts and sales and so creating your own code here will work nicely with any existing discount activities you may have. Alternatively, let the system create one for you and just make a note of it to help you keep track of them all. The types of voucher available include: A percentage of the order value, a fixed value (or amount) or Free Shipping (Postage). The value of discount coupons is added onto any other discount you may have in an order. Fixed value vouchers appear in the totals under the line Vouchers. Free shipping coupons simply reduce the shipping amount to zero. Choose which type of voucher you want to offer and then enter the amount of discount you are offering. You can also set a minimum order value for which the vouchers can be used, which means that customers have to spend a certain amount of money in order to qualify for the discount. You can add an expiry date to your voucher if you wish. Simply leave this option’s boxes blank to make the voucher timeless. One last option is to set the voucher to have a onetime use only. The cart does not keep a record of which coupons have already been used so you do need to check them carefully when you receive an order. However, by using the expiration date sensibly and by altering the range from time to time, you should be able keep the number of valid coupon codes quite small and easy to manage. If you choose to use coupons then a text box appears in cart where they can enter their number. It doesn't specify what the voucher is for, it's assumed that customer already knows. This important, it's so that your customers who don't have discount coupons don't feel they are paying more than they need to. Instead, most will assume the box is for gift coupons only. If you have any questions relating to this tutorial, please send us a message by clicking the comments link below. Please remember, this article was first published 22/01/2010. The content may be out of date and you cannot post comments any more. Please check out our new blog.